Open Systems of Cleveland’s mobility and Bring Your Own Device (BYOD) solution ensures that your network stays continuously protected, 24/7. 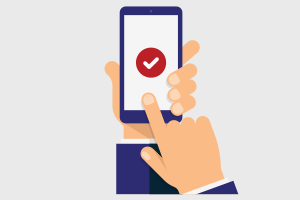 While maintaining a secure mobile environment across any number of touchpoints can be challenging, our superior security solution will enable your network to stay robust regardless of mobility and BYOD. Today, as employees bringing their own devices to work becomes more and more commonplace, your IT infrastructure can be exposed to high-profile attacks, such as ransomware and systemic viruses. As a result, enterprise network security has also become exceedingly complicated, as trends toward mobility and BYOD can increase vulnerability. Further, the abundance of devices on the network can be overwhelming for security teams who are forced to work within the constraints of their available resources. That’s where we come in – to alleviative some of the pressure, by implementing solutions to mitigate problems before they occur, and to help troubleshoot and resolve, as issues occur in real-time. Furthermore, Open Systems of Cleveland will also ensure that you maintain compliance, security, and performance, regardless of how many devices are supported by your network.